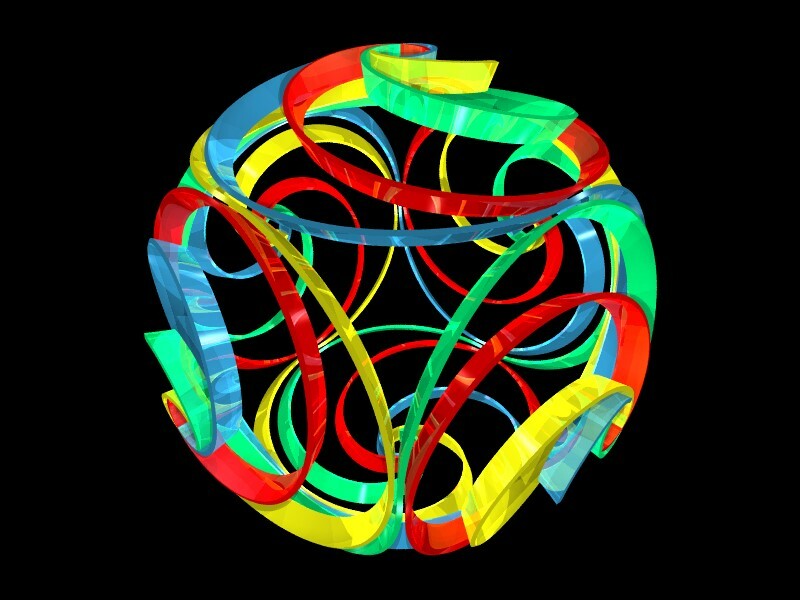 This study examines a method for dividing the surface of a sphere with spirals. This is one of a series of studies for the creation of a visual metaphor for representing complex data clusters in spherical space. The following POV-Ray scene description language source code generates a spherical spiral. The intent is to enable a spiral form as a spherical metaphor or Spheriphor. In this way, the spiral form may be used as a visual metaphor for representing complex data clusters in spherical space. The methodology generates a spiral partition of a spherical volume based on conical surfaces created from a sequence of progressively smaller cones all sharing the same apex situated at the sphere's center. Polyhedral geometry is used to divide the spherical volume omni-symmetrically. In this case, the geometry used is Buckminster Fuller's Vector Equilibrium Matrix or Jitterbug. The geometry is based on the cuboctahedron which is dual of a cube and an octahedron. The key to Fuller's jitterbug was its ability to embody and demonstrate the "motion" and transformation of polyhedral forms. Fuller's jitterbug could be considered the first polyhedral model in more than two thousand years of mathematical and structural exploration that can demonstrate the energy characteristics of expansion and contraction. Because of the natural twist, like the spiral of a nautilus shell which draws its form from the mathematical rules of golden proportion, the jitterbug in motion can move through symmetrical forms which, if omni-triangulated internally, will span the oscillating continuum of symmetrical and asymmetrical form. This particular Spheriphor study shows how the sphere may be divided using adjoining, inter-locked spirals. The POV-Ray Spheriphor generator for this study uses one file, that is the Spheriphor_Study03.pov scene description file. Copyright (c) 2006 by Thomas J. Greenbaum. Some Rights Reserved. all sharing the same apex situated at the sphere's center.